Jane Hill and Rachel Bellamy (seen above in the yellow jackets) job share the Learning Officer post for the project. Rachel has worked as a field archaeologist, a teacher and as a learning officer in heritage. Jane has worked as an archaeological curator in museums, as a freelancer on heritage projects and has taught on archaeology courses. 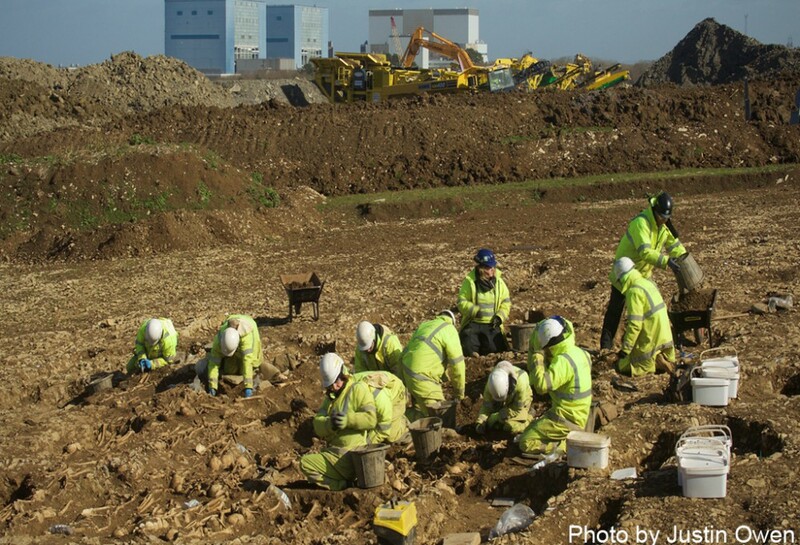 They will be delivering the Hinkley Point C archaeology outreach project, organising events, activities and exhibitions throughout Somerset.